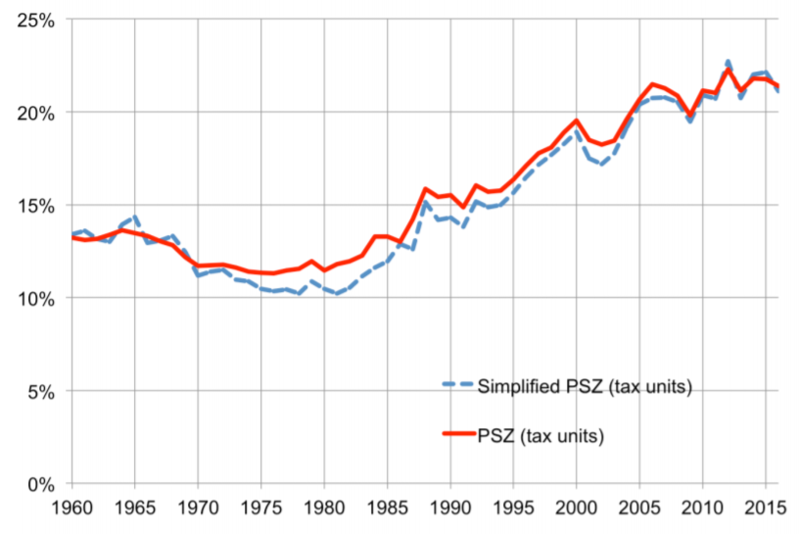 This new paper by Thomas Piketty, Emmanuel Saez and Gabriel Zucman proposes a simplified methodology to estimate income inequality by combining surveys, tax data and national accounts. It develops a framework that starts from the fiscal income top income share series and makes very basic assumptions on how each income component from national income that is not included in fiscal income is distributed. Their results show that in the case of the US, the methodology yields results which are very similar to those found by Piketty, Saez and Zucman (2018). In particular, it can be used to create distributional national income statistics in countries where fiscal income inequality statistics are available but where there is limited information to impute other income at the individual level.